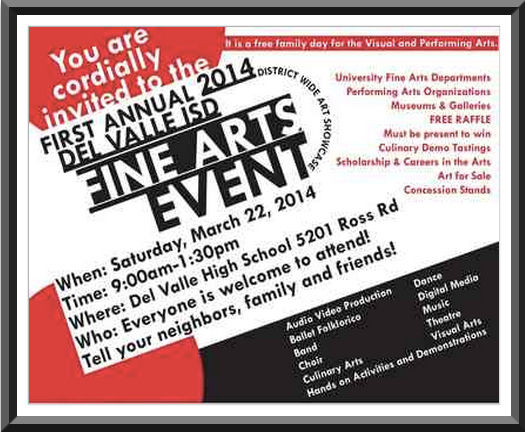 On Saturday morning, March 22, please join us and help support fine arts, education, and Del Valle ISD as they showcase their talented artists and writers. This event is being sponsored by The University of Texas at Austin, Congressman Lloyd Doggett, Ballet Austin, the Long Center, Blanton Museum of Art, The Contemporary Austin, and many others. We are so proud to be a part of it and hope to see you there.